it was objected that the prerogative in general was not let loose, but only that that is for the good of the people; ...This is a door unto the breach of all statutes and laws. It opens a way to interpretation, as if for the safety and good of the people that laws may be laid aside ... It is not safe to acknowledge a power that is above the law for the safety of the realm. 1. Vivian, Vis. Devon, 411. 2. LI Admiss. ; LI Black Bks. ii. 131; Al. Ox. 6. Cornw. RO, B/LIS/273, 280. 7. W. Devon RO, W132, f. 181v. 8. W.R. Prest, Rise of the Barristers, 364. 9. HMC 9th Rep. i. 266. 10. Cornw. RO, B/LAUS/297, 342. 11. D.H. Sacks, Widening Gate: Bristol and the Atlantic Economy, 237-8. 12. Readers and Readings in the Inns of Ct. and Chancery ed. J.H. Baker (Selden Soc. spec. ser. xiii), 139. 13. LI Black Bks. ii. 270, 289. 14. Order of Sjts.-at-Law, 186. 15. List of Eng. Law Officers comp. J. Sainty (Selden Soc. spec. ser. vii), 19. 16. HMC Cowper, i. 201. 17. C66/2183/17; CSP Dom. 1635-6, p. 220. 19. C231/5, p. 250; C220/9/4, f. 95v; Docquets of Letters Patent 1642-6 ed. W.H. Black, 94-5, 243. 20. C181/5, ff. 73-4, 220-1. 21. SR, v. 221 (as Granville). 22. J. Prince, Worthies of Devon (1810), pp. 427-8; C142/271/158; SP19/95/95. 23. Prince, 427; Vivian, Vis. Cornw. 184; Prest, 220, 364. 24. Procs. 1614 (Commons), 268, 280, 291, 294, 308, 330, 338-9, 395; Vivian, Vis. Devon, 411, 461-2, 464. 25. Ibid. 171, 192, 322, 326. 26. Ibid. 346, 365, 379, 403, 409, 414, 419, 441. 27. W. Devon RO, W132, f. 179v; Readers and Readings, 139; C66/2183/17. 28. DCO, ‘Letters and Patents 1620-1’, f. 39v. 29. CJ, i. 615b-16a; CD 1621, iii. 203, 215. 30. CD 1621, ii. 101; v. 13, 66, 297; Nicholas, Procs. 1621, i. 159-60; CJ, i. 575a. 31. CD 1621, v. 259; CJ, i. 540a, 569a, 585b, 592a, 595a, 606b. 32. CJ, i. 521b, 533b, 594b, 635b, 637b; CD 1621, iii. 389. 33. CJ, i. 531a, 548a, 575a, 593b, 631a. 34. Ibid. 531a, 548a, 549a, 575b, 593b, 630a. 35. CD 1621, ii. 136, 294, 321; iii. 81; v. 98; CJ, i. 527a, 533a, 592a, 630a. 36. CD 1621, ii. 29-30; v. 24, 515; Nicholas, i. 16. 37. CJ, i. 530b, 532b, 539b, 541a, 551a, 561b, 590a, 618a; CD 1621, iv. 168-9; Chamberlain Letters ed. N.E. McClure, ii. 351. 38. CJ, i. 564a, 575a; CD 1621, iii. 236. 39. CJ, i. 612a, 630a; CD 1621, iii. 189; iv. 250; v. 177. 40. CD 1621, ii. 116; iii. 331, 333; iv. 196-7; CJ, i. 524a, 537b, 544a, 592b, 632a. 41. CJ, i. 512a, 514a, 515a, 548a, 588a. 42. SP14/119/69; CD 1621, ii. 52-3; CJ, i. 518a, 522b; CD 1621, ii. 121. 43. CJ, i. 601b, 610b, 614b; CD 1621, ii. 339-40; v. 134. 44. Nicholas, ii. 178; CD 1621, iii. 408; vi. 218; CJ, i. 654a, 668b. 45. CD 1621, iii. 440; CJ, i. 653a-b, 654b. 46. CJ, i. 646b; CD 1621, ii. 450, 511; iii. 455-6; Nicholas, ii. 275, 307, 312. 47. CJ, i. 666a, 667a, 669b; CD 1621, ii. 537; v. 242; vi. 335. 48. CD 1621, vii. 628; CD 1628, ii. 516; Chamberlain Letters, ii. 400. 49. Cal. Plymouth Municipal Recs. ed. R.N. Worth, 153; W. Devon RO, W132, f. 195. 50. Cornw. RO, R(S)1/5, 864; SP14/156/14; SP16/6/132. 51. CJ, i. 671b, 678a; ‘Nicholas 1624’, f. 61; ‘Pym 1624’, ff. 14, 74v. 52. ‘Nicholas 1624’, f. 63; CJ, i. 684a, 739b, 745b; ‘Pym 1624’, f. 51v; J. Glanville, Reps. of Certain Cases Determined and Adjudged by the Commons in Parl. (1775), pp. 18, 35-6, 56, 100-1. 53. CJ, i. 685a, 686a, 747b, 749a, 799b. 54. Ibid. 680a, 748b, 789b; ‘Pym 1624’, f. 40v. 55. ‘Spring 1624’, p. 39; ‘Earle 1624’, f. 54v; ‘Nicholas 1624’, f. 82v; ‘Pym 1624’, f. 59; CJ, i. 697b. 56. ‘Nicholas 1624’, f. 25v; CJ, i. 680b, 703b, 757b, 773a; ‘Spring 1624’, p. 114. 57. CJ, i. 712a, 726b, 751b; 794b, 795b-6a. 58. Ibid. 672a, 673b, 679b, 726b, 746b, 748b, 756b, 788a; ‘Pym 1624’, f. 31v. 59. CJ, i. 693b, 698b, 707a, 760b; ‘Nicholas 1624’, f. 143v. 60. CJ, i. 705a, 756b; Holles 1624, p. 2. 61. CJ, i. 725a; ‘Spring 1624’, p. 88; ‘Nicholas 1624’, f. 52. 62. CJ, i. 683a, 733b, 742b; ‘Spring 1624’, pp. 106, 134-5, 150. 63. ‘Nicholas 1624’, ff. 133, 135v; CJ, i. 709a, 750b. 64. Procs. 1625, pp. 205, 296, 300, 318. 65. Ibid. 226, 238, 240, 246, 323, 349. 66. Ibid. 252, 269, 274, 324, 341, 347, 359; SP16/6/132. 67. Procs. 1625, pp. 411, 422, 445-7, 452-3, 460, 475. 68. Ibid. 567; SP16/6/132; CSP Dom. 1631-3, p. 309; Procs. 1626, iii. 423; R. Lockyer, Buckingham, 270. 69. CSP Dom. 1631-3, p. 309; Bedford Estate Office, Letters 1/52; J. Glanville, Voyage to Cadiz ed. A.B. Grosart (Cam. Soc. n.s. xxxii) 32-3, 56, 58, 66, 74-5, 88, 120-2; Lismore Pprs. (ser. 1) ed. A.B. Grosart, ii. 173, 177; Chamberlain Letters, ii. 629. 70. Procs. 1626, i. 131, 138-41; iii. 272. 71. Ibid. ii. 226, 252, 279, 339, 366, 375, 377, 381. 72. Ibid. ii. 420, 427, 441-2. 73. Ibid. iii. 38,47, 53, 85, 100, 123, 182. 74. Ibid. iii. 140, 183, 258, 263, 269, 286. 75. Ibid. iii. 302, 353, 359, 387-8, 392, 423, 432, 434; Letter-Bk. 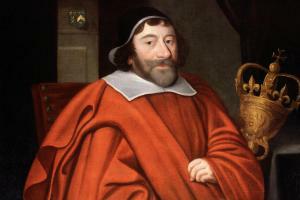 of Sir John Eliot ed. A.B. Grosart, ii. 7-9. 76. CD 1628, ii. 507; iii. 42, 355-6, 558; iv. 25, 27, 51, 84, 382. 77. Ibid. ii. 400; iii. 3, 34, 386. 78. Ibid. ii. 480, 510, 512; iii. 43; Lords Procs. 1628, v. 290-1. 79. CD 1628, iii. 123, 129, 139, 236. 80. Ibid. iii. 272, 311, 316. 81. Ibid. iii. 325, 369, 448, 491-2, 500, 527, 557, 565-6, 595, 623; iv. 290. 82. Ibid. iv. 178, 289, 349, 351, 393. 83. CJ, i. 922a, 923b, 929b-30a; CD 1629, pp. 143, 200. 84. CJ, i. 931b; CD 1629, pp. 159, 164, 169, 233, 235, 238. 85. VCH Wilts. xii. 109; Western Circ. 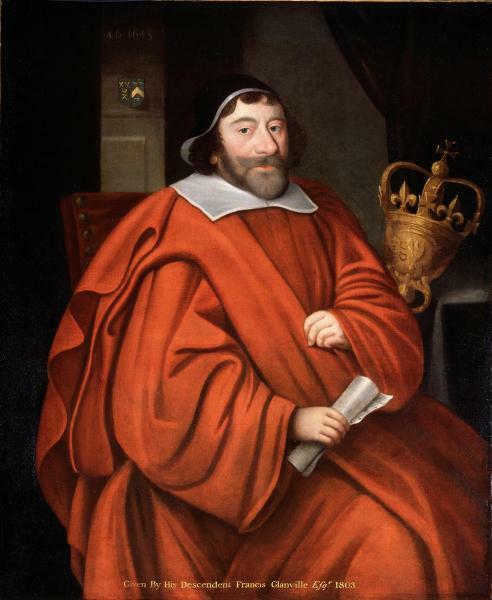 Assize Orders 1629-48 ed. J.S. Cockburn (Cam. Soc. ser. 4. xvii), pp. 14, 26, 33; Order of Sjts.-at-Law, 384-5. 86. B. Whitelocke, Memorials of Eng. Affairs, i. 97, 230, 282; CCAM, 408-10; CJ, iii. 567a, 587b; iv. 661b; vii. 603a. 87. PROB 11/306, f. 145; Prince, 429.